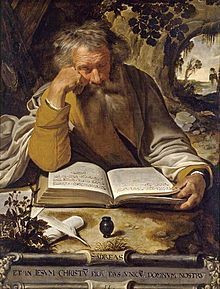 Background: St Andrew was born in Bethsaida, by the Sea of Galilee. His brother was Simon Peter. St Andrew was martyred by crucifixion for his faith and his persistent preaching of Jesus’ Gospel. It is said that at his request, his Cross was X-shaped (St Andrew’s cross – saltire) to acknowledge his unworthiness to meet death on the same type of cross as that of Jesus. St Andrew’s Feast Day is the 30th November. This Novena is often referred to as the Christmas Novena. It is prayed 15 times a day from St Andrew’s Day (30th November) until Christmas Eve. Hail and blessed be the hour and moment at which the Son of God was born of the most-pure Virgin Mary, in a stable, at midnight in Bethlehem and in the piercing cold. At that hour bestow, I beseech Thee, my God, to hear my prayers and grant my desires… (State your request)… through the merits of Jesus Christ and His most Blessed Mother. Say: Fifteen times per day from the 30th November until Christmas Eve.